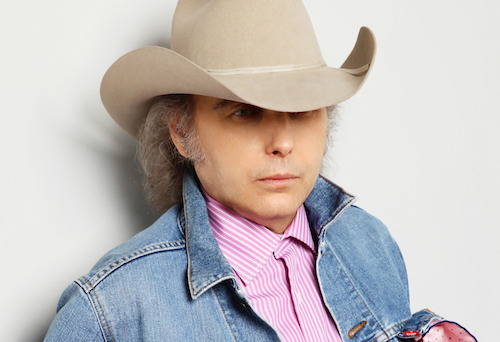 Dwight Yoakam is tying up the last years of his 50s, and has been making records for three of those decades. Given that, it’s a bit ironic that he is managing to be one of the freshest, most cutting-edge artists in country music. His 2012 set, Three Pears, marked a return to the studio after a five-year absence; it critically racked up a (highly rare) A+ report card across the board. Now, he’s poised to release Second Hand Heart, a follow-up that’s stirring up comparisons to his 1986 honky-tonk soaked debut. That outlaw edge, of course, is one of a number of currently hot trends in Nashville. Yoakam’s take on the sound, however, sounds effortless, boundlessly creative, and completely unselfconscious; caring not one whit whether it fits any trend whatsoever. And, by way of that, sounding far more daring than anything currently being released. Between the two albums, Yoakam’s sound is likely going to capture an entire new generation of country fans — ones who are seeking something different from the current crop of radio hits available. Yoakam is optimistic that both new and old fans alike will enjoy the tunes. “The entire record, Second Hand Heart, I hope it’s something that captures the imagination of the new audience that has arrived for country music,” he says. Overall, Yoakam has the most enviable position an artist can boast: “To still be able to make my living and be able to perform this music…it really does feel like a lucky continuing stream of events for me in my life,” he reflects.